More and more homeowners are making the wise decision to transition from standard window treatments to shades, shutters and blinds with motorization in Charlotte, and for plenty of good reasons. The good news is that you have already come to the right place to get the information and service you need, for motorization projects. With over 20 years of professional expertise behind the company name, Sweet Shutters and Shades is the only expert you will need to call on. While we have seen the industry change quite a bit over the past two decades, the shift to motorization seems only natural. Innovations for the home are all about making life simpler, safer and more modern. That is exactly what you can expect from converting your home and window coverings to motorization. Don't just take our word for it, let our Charlotte shutter company demonstrate this to you during your free in-home consultation. We bring the samples to you so that you can see just how many options you have, and how they will enhance and enrich your life. The best part is that we can schedule your appointment any day of the week and offer convenient appointment times all the way into the evening. Imagine how easy things will be when you can operate all of your window treatments with the simple push of a button. No more going from room to room to physically adjust every window. You can even access control with the push of a button from your smartphone. This is also a safer option because it removes the need for pull cords or chains. These features can pose a safety risk for injury or strangulation, of small children and pets. Why take the risk when you can simplify your window covering system, while making it safer. Quite honestly, this is becoming the new norm and expected standard. Homes without motorized shades, shutters and blinds will end up being considered outdated, making them a harder sell, when the time comes. 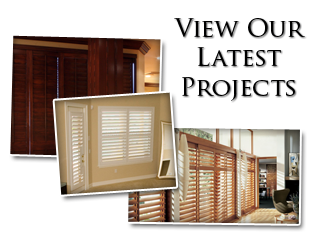 Sweet Shutters and Shades is the name you can rely on for all of your window treatment service needs, including options for motorization in Charlotte. We look forward to having the chance to meet with you and review all the amazing options that you have. We want you to be genuinely excited about this process and about improving your home, one window at a time. 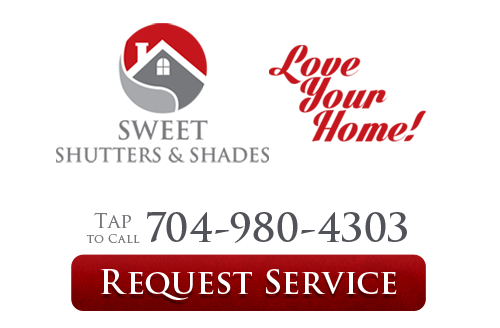 If you would like an estimate for window treatment motorization in Charlotte, NC or the surrounding areas, please call Sweet Shutters and Shades at 704-980-4303 or complete our online request form.